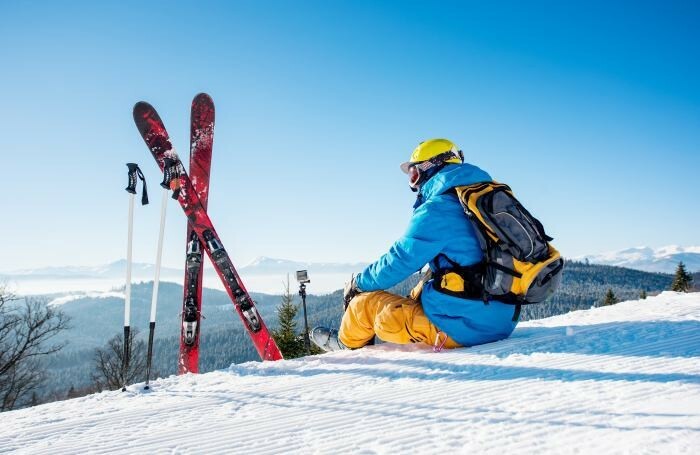 Despite not being one of the largest, this area ranks among the best ski centres worldwide. You can also visit the neighbouring ski centres and ski not only in the Wildkogel Arena, but also in the Zillertal Arena including the Hintertux glacier (Zillertaler Super Skipass) or throughout the Salzburg region including Kitzbühel, the Skicircus area and Ski amadé (Salzburger Super Ski Card) with a single ski pass. The Panorama Lift cable car located mere 3 km from Bramberg is your entry to the popular Kitzbühel Alps. The vast Zillertal Arena is mere 15 minutes from here. In summer, the area offers countless activities and experiences. Krimml Waterfalls – the tallest waterfalls in Europe are an example of a highly popular destination. Buy an apartment here to have a luxury second home in a location with a massive potential. The Wildkogel-Arena regularly receives awards for its excellent services for family holiday. In the Skiarea-Awards survey, the centre was awarded the title Family Ski Area 2018 and the Wildkogel-Arena Neukirchen and Bramberg won the category Top Class – World-leading Ski Resort with up to 80 km of Slopes on the world’s largest ski resort test portal skiresort.info in 2018. In this year’s season, the Wildkogel-Arena prepared a new winter hiking trail, programs for kids, a Family Fun Arena with a fun slope and a Familypark, interesting attractions and traditionally the longest floodlit sled run in the world for its visitors. The sled run has even been entered in the Guinness World Records book. You can reach a speed of up to 50 km/h and enjoy a breath-taking run lasting for up to 40 minutes. This area is highly sought after not only by tourists, but also by investors. Developers respond to the growing demand by constructing new projects with apartments for private owners intended for further lease. According to the Austrian statistical office, commercial holiday apartments have the most dynamic growth of all accommodation facilities in Austria. At the beginning of the winter season (November 2018), the number of overnight stays in this type of real estate grew by 29.7%, while 5* and 4* hotels only grew by 6.2%. A total of 138.41 million overnight stays was recorded in Austria from January to November 2018, which is a growth by 3.3% compared to the same period in 2017. A new project with 45 luxury apartments and 8 penthouses priced from EUR 562,800 has now been placed on the market. Services of a 4* hotel – wellness with swimming pools, several types of sauna, fitness with cardio and weight training machines, massages, restaurant, and a reception desk – will be available to all owners and guests. While the apartments are intended to be sold to private owners, the real estate owners are obliged to commercially lease their real estate further and thus obtain an attractive rental income. Completion of the project is anticipated in December 2020. As we are offering the real estate directly from the developer, the buyer does not pay the real estate commission!